Free Printable Crossword Puzzles. Free Printable Crossword Puzzles, great to print at school and use as a learning activity or just for fun. Print as many as you want with your inkjet or laser printer and have fun solving the crosswords games of different themes. 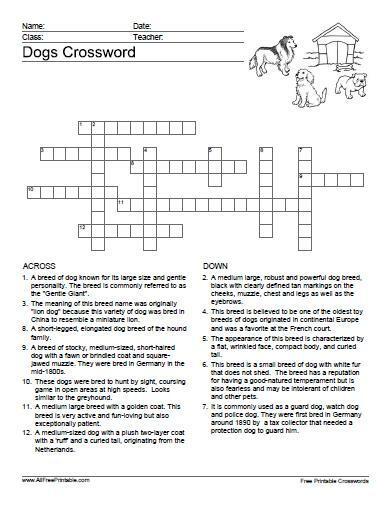 Find crossword puzzles like Disney, Seasons, Insects, Math, Dogs, Holidays, Baby Shower, Bugs and many more that will be added here very soon. Click the link below to download or print the free printable crossword games now in PDF format.